Every day there are numerous small businesses opening around the corner in malls and rental spaces. One of the main priorities of a business owner is to make sure their assets are protected. It doesn’t matter if they are just starting out in business or they have been around for years. Their investment is always going to need that layer of protection that simply has to be provided. Regardless of how big or small your business is, you will need a security system that is both affordable and reliable. When you think about all of the advancements in technFology for surveillance systems, it can be somewhat difficult to be able to find the right system that is going to work for your specific needs. Compare prices and cameras beforehand to make sure you are choosing the best option for all of your business needs. Many of the business systems come with an ample supply of features, but in the end their main goal is to make sure your property is taken care of all the way. If an intruder is around and trying to make their way inside of your business, the security system will be the first one to let you know what is going on. There are often instances where a criminal may be looking for nothing more than the cash left inside of the register, but other ones might be looking for a specific item that they want to steal. On rare occasion, the motive might be nothing more than to get a thrill off of vandalizing your establishment and they may not take anything at all. It doesn’t matter what their reason is because when you have a security system in place there is little that they can do to get away with the crime. You will have the necessary footage to turn over to the authorities and make sure you are compensated fairly and the perpetrator is brought to justice. • Protection from any potential intruders who attempt to enter into your establishment unwelcome. 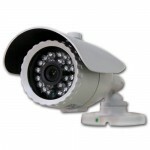 • Decreased premium from your insurance company for installing the surveillance system. • Reduction in the amount of inventory that is being lost at the hands of a shoplifter thanks to the cameras being strategically placed in obvious locations throughout your business. • Employees will tend to avoid stealing any cash or inventory from your business for fear of being caught in the act and all because you have cameras placed to monitor their activities. • There will be a reduction in the amount of fraudulent claims against business owners by people who are faking an injury in an attempt to collect money from the business. • Employee production levels will tend to increase because the business owner will be able to see what’s going on continually. Once an employee knows that they are being monitored, they will tend to do a lot more than what they normally would off camera. • Proper placement of a security system will help to improve the overall operations of the business and how efficient they are. The vast majority of business owners are looking for an electronic security system. With one of these in place, it will help monitor who is entering and exiting the facilities. It also allows even the tightest and most cramped areas of the property to be kept under surveillance, as well as help make sure the employees are safe and secure. Beyond just that, the business will save money on having to change the keys and locks whenever an employee decides to quit or they are let go. Since all of the doors are controlled via an electronic system, there are no physical keys to rely on. One of the most essential aspects in a business surveillance system is making sure there is a high-quality digital video recorder. These types of systems will offer up an impeccable video recording that was unable to be achieved years ago. Having exceptional quality when it comes to a recording will help the authorities in the event of a shoplifter or a burglar. Not just that, but they can be monitored from the business owner wherever they are located. Your smartphone just became the gateway into what is going on at your business when you are not there. If you are worried about your business, property or inventory, there is no better option that to have one of these state-of-the-art surveillance systems installed to help protect all of your business assets. Your business will be protected against any intruders, burglars, and robbers and you will have the peace of mind you have been searching for. Beyond just making our lives simpler and more comfortable, all of the advancements in technology have also been able to provide us with a way to improve upon our safety and security. Due to the increase in crime and burglary, a lot of people are looking to the numerous gadgets on the market to help ensure their security and safety. One of the best pieces of technology to help ensure our business and home safety is a video surveillance system. It is imperative that you understand how a video surveillance system can help provide the proper amount of security around your property. At a personal level, this is one of the best ways to helps avoid any potential risks. Surveillance systems give you the opportunity to be able to see, intervene, respond and limit the potential risks if they should occur. Long ago, the surveillance systems were only use by large shopping centers and malls. Today, there are closed circuit television cameras just about anywhere you go. It doesn’t matter if it is a church, small business shop or even someone’s personal residence because security is essential. People have quickly learned that all of these things help make sure that they are going to be protected without putting a huge dent in their pocketbook. Over the years, a lot of the bigger companies have made sure they were protected through a surveillance system that was monitored by the experts. There were events caught on tape to help provide the necessary evidence in the event of a burglary. However, all of the new advancements in technology allow us to be able to watch everything in real time, which means that you can react to the event while it is happening and not after the fact. One of the biggest benefits in a closed circuit television system is that you will be able to access information for a variety of locations using your computer or a smartphone. Regardless of where you are located, you will be able to have an eye on your property at all times. Through a variety of new programs on the market, you will be able to have proactive control over everything that goes on in your video security system. Through all of these changes and advancements, you will be able to have the chance to become involved in the amount of potential risk your business is taking and help mitigate any losses. Numerous business owners are utilizing some of the most sophisticated programs around to help ensure they have the proper protection when it comes to their assets and employees. It also helps to avoid any potential lawsuits and limit the amount of liabilities involved. Closed circuit television systems of today are able to provide you with the quality recording you are searching for, as well as any audio recordings. In the event of an intruder, these things are an absolute must. You will be able to quickly figure out who the perpetrator is and obtain all of the necessary information. Take the time to browse through all of the surveillance systems on the market to make sure your property is protected with the best in surveillance systems. There are a lot of responsibilities and risks that come along with owning a small business. Numerous countries around the world are encouraging individuals to embark on a business venture of their own, whether it comes in the form of a tax break or other means that the government puts into place. The amount of risks for the business owners are relatively obvious and not going to disappear anytime soon. One of the biggest concerns when it comes to owning a business is where you are going to place all of your physical merchandise. There will always be the potential for some degree of loss to occur, whether it is due to damage during shipping or something happens in route to the package. If you are trading perishable items, it might be that the cooling system fails while the product is on the way to your business. It is imperative that you have the proper security measures in place when it comes to your location and storage facilities. When you have an exceptional monitoring system at hand, you will have an early alert to know what caused the problem right from the start. Your insurance company is going to be a lot more willing to work with you to help cover any potential losses, rather than if you don’t have an account of everything that happened. How are you going to be able to monitor your investments effectively? The first step is having surveillance cameras installed. When you have a good system in place, you will be able to have your property monitored around the clock and it won’t cost you a fortune in the process either. 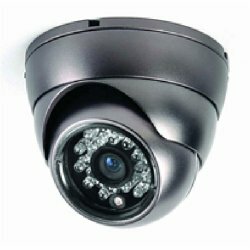 Packages offering four cameras are able to be purchased online for some of the most amazing prices. For a small business owner, this might be the best choice without having to worry about any huge installations. Having audio surveillance on top of the video is always a wise investment. Most of the time business owners will leave the audio out of the package because they are worried about how much it is going to cost. Having a security blueprint in hand helps to put all of the important areas into perspective to make sure you are adequately covered. If you were to get broken into, the audio feature would help prove invaluable in a police investigation and make sure the insurance company does not try to prolong their payments. The court system would love to have an audio file of the break-in instead of just a grainy video. Security investments are often seen as an investment that is going downhill. A return on your initial investment is one that is often overlooked, which is why they do not view surveillance as one of their top priorities. In the long run, an insurance company payout or a potential thwart of an intruder can prove to save you hundreds of dollars in theft, which is far more expensive than what it costs to set the system up to begin with. Make sure you have your plan for installation ready to go. A security blueprint is key, and it only takes a few minutes to read through and find out how to develop one of your own. Online you will find numerous resources for developing a blueprint, but you need to make sure you are evaluating those as well. Putting a large blueprint operation into play for a small business is not going to work very well. You will spend far more than you need to and it will be relatively ineffective. Be on the lookout for any security company that tries to make you spend more than you need to on a security system. if you decide to bring in a security company for the installation, have them out to your property and allow them to do a walk around beforehand.